home Gossip Can Nano-tech could make Humans Immortal in Future ? Nano-tech is the engineering of matter on an atomic, molecular and supramolecular scale. Nanotechnology as defined by size is very broad in the various fields of science as organic chemistry, molecular biology, surface science semiconductor physics, molecular biology, micro fabrication, etc. Traditionally, nano-tech means building things from the bottom up, with atomic accuracy. The application of nanotechnology can be work out in all one, two or three dimensions. Nanotechnology is also sometimes referred as “General-purpose Technology”, as its advanced form will have momentous impact on almost all fields and areas in general like better, safer, long-lasting products for medicine, for home, for transportation, for communication, as well as for industries and agriculture. Let’s imagine that what the Human Life will be like, when in future microscopic machines or other nano-tech inventions will be repairing damaged cells, organs or curing diseases, backing-up our memories by travelling throughout our body. The only question arise “Is That Possible in Real? ?” By the mid-2000s new and serious scientific attention regarding to nanotechnology began to flourish. Imagine a medical device that travels through the human body to seek out and destroy small clusters of cancerous cells before they can spread. Or materials much lighter than steel that possess ten times as much strength. As nanotech will offer more efficient features according to its use, it will have commercial use as well as the military use for making more powerful weapons and tools. Also for sure, it will not only have beneficial part but also will praise more risk for humanity. Nanotechnology will not only allow producing many high-quality products at very low cost, but also allow making new nanofactories at the same low cost at the same rapid speed. It can be stated that any person alive in next 30 or 40 years could be almost close for being “Immortal”. 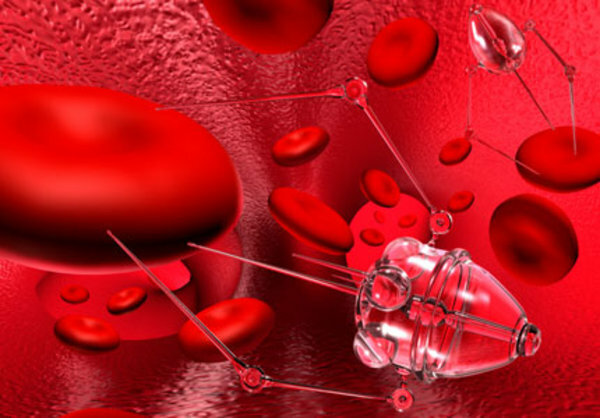 According to author and futurist Ray Kurzweil, advancement of nanotechnology will shift the justification of man and machine in better way, as nanobots will flow through the human blood streams and in due course it may even replace biological blood. As well as according to him, also the time will come when humans will boost their natural cognitive powers and increase years to their lives. Also diseases like cancer, Alzheimer’s disease, diabetes and obesity could be wiped out when there will be the combination of nanotechnology and biotechnology. If those nanobots replaced biological blood then the wounds will be healed almost instantly. Nanoparticles are already in use to blast cancer cells in mice with “tumor busting” genes as a new hope for those inoperable tumors. It has also been reported that ovarian cancer has been killed with the treatment based on nanotechnology. According to the author who wrote The Age of Spiritual Machines and The Singularity is Near: When Humans Transcend Biology, we will be immortal in next 35 to 40 years.